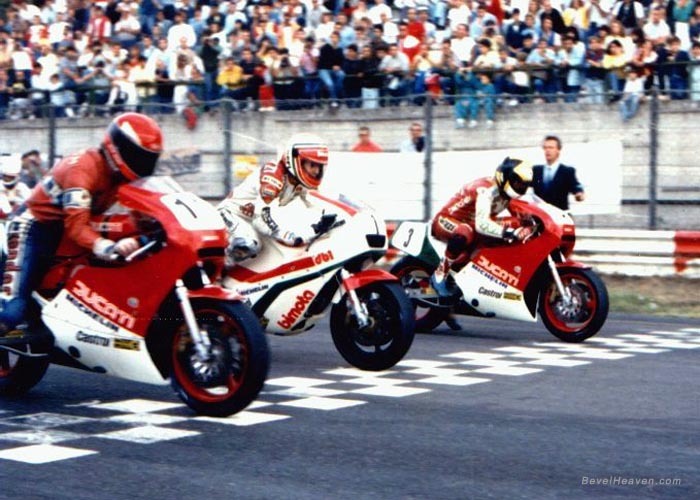 Today I've posted to you Mr Lucchinelli n�, Mr Tardozzi on Bimota db1 n�nbsp;, and Mr Cussigh , the third in grid. This is the pit line in Vallelunga near Rome, with Mr. Lucchinelli with 750 f1 (1985?) I'll take this picture with my camera. You'll make me happy. ciao e forza ducati ! Website created by & � FEzone.com 1998-02, All Rights Reserved.